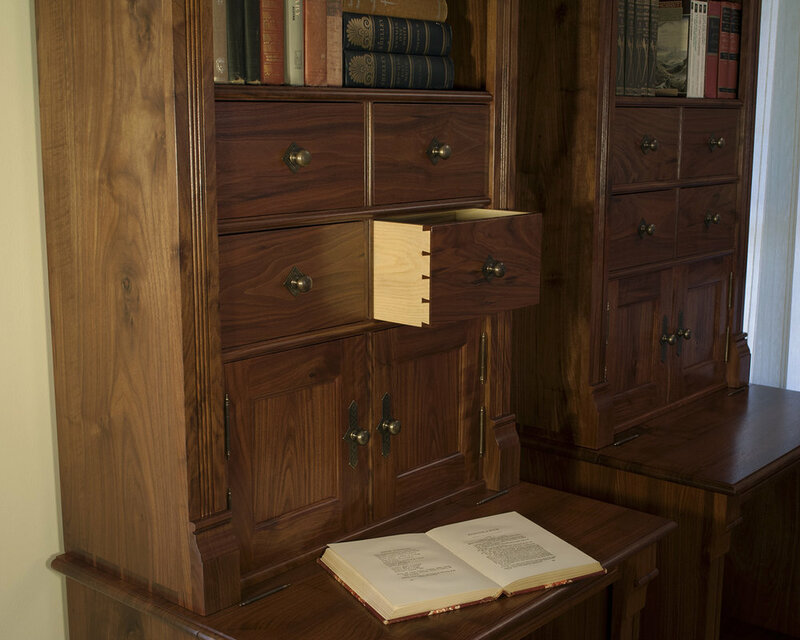 There are thousands of species of wood in the world, some more suited than others for furniture making. Here are a few of my favorites. 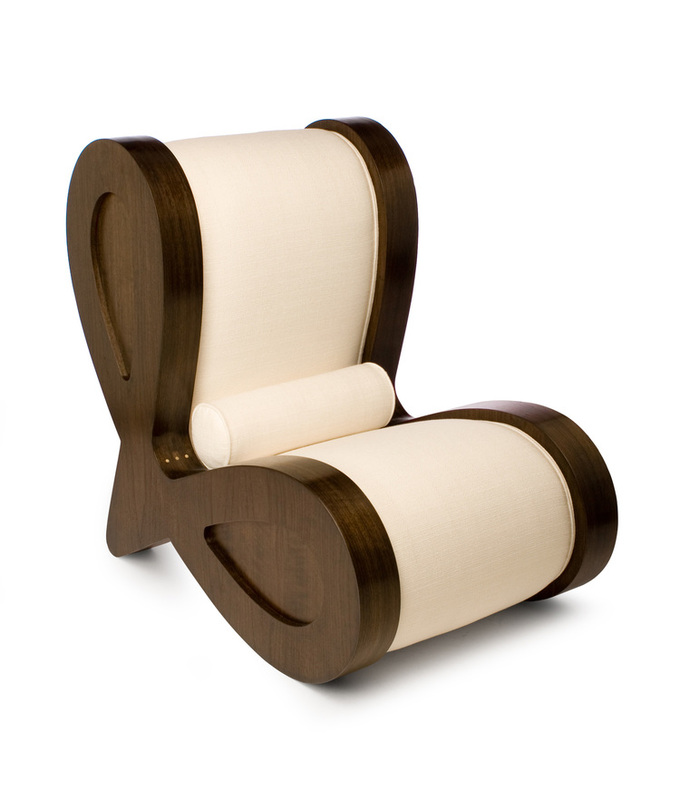 Walnut has a rich, dark brown color, with tan sap wood and a fairly fine grain structure. It has open pores, but they are not large, as is the case with oak. It can be spectacularly figured, or sedate and calm. 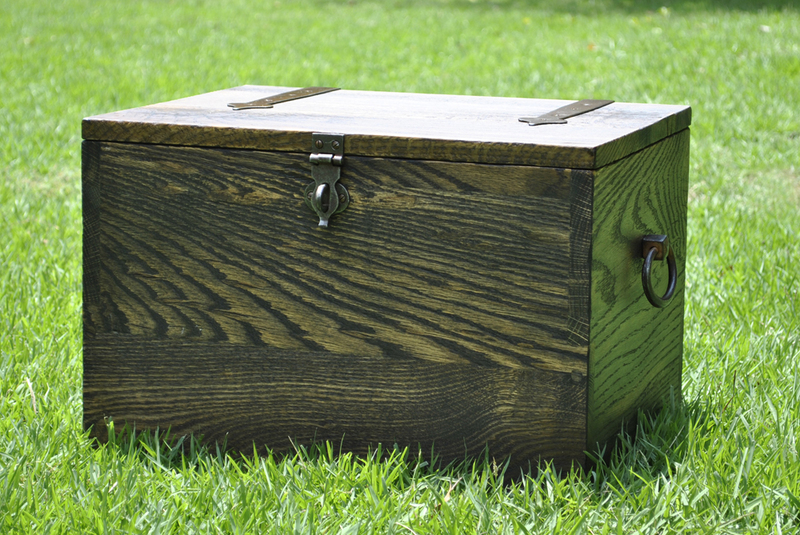 White oak has a fairly course, open grain structure, which can be manipulated to great result, such as in this chest, which has been wire brushed to bring out a soft texture. 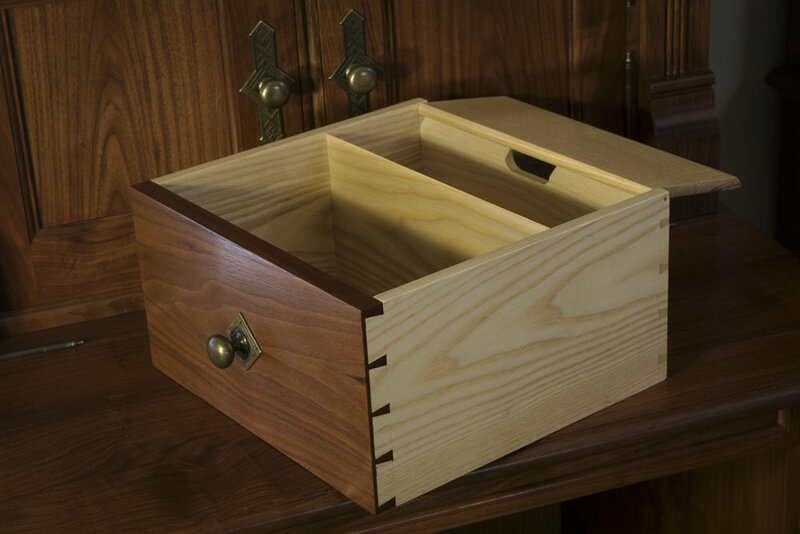 It can also be sanded fairly smooth, and given a refined finish. It is hard as an anvil, and as a result is often used in flooring. It accepts color reasonably well. 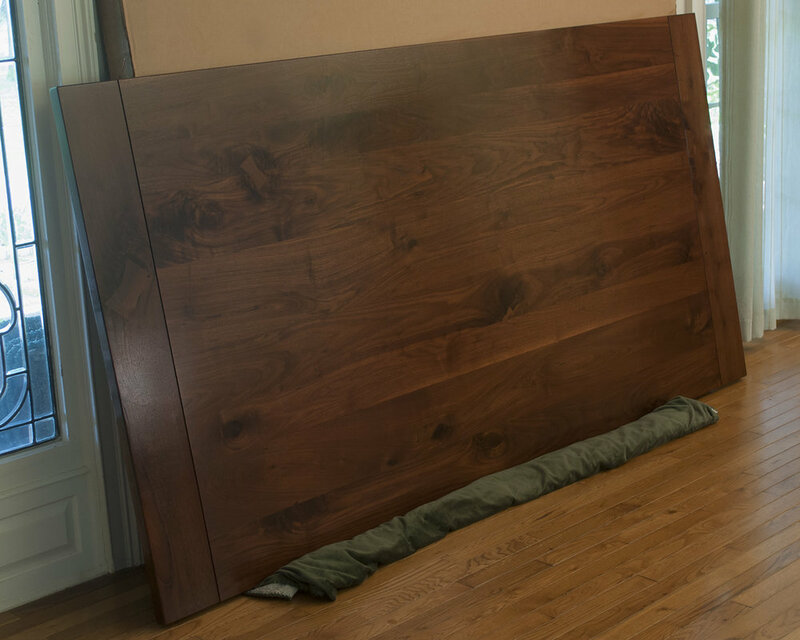 It works easily, but can be a bit unstable, resulting in above average movement as humidity levels increase and decrease. I love white oak for certain types of projects, as it is very inexpensive in the rustic grade, and can be nicely figured. 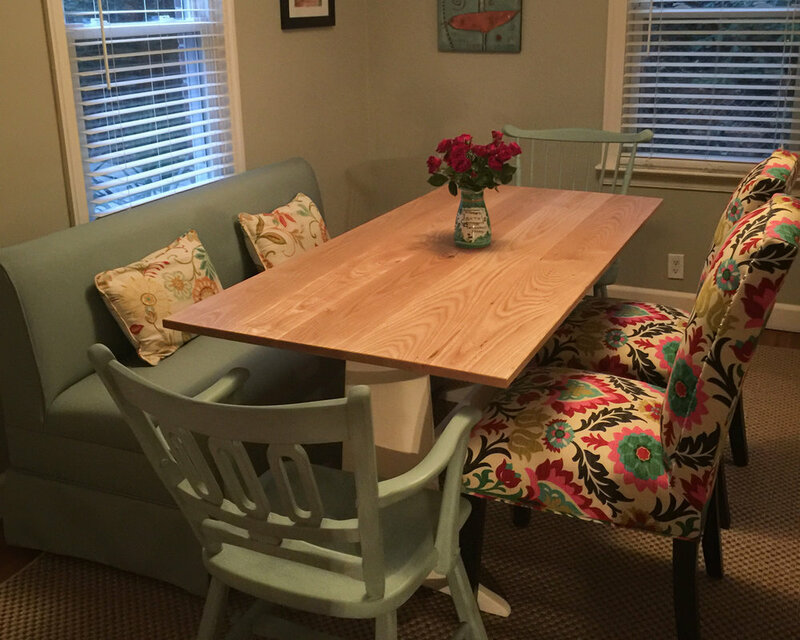 Furniture made from white oak is stout and heavy. 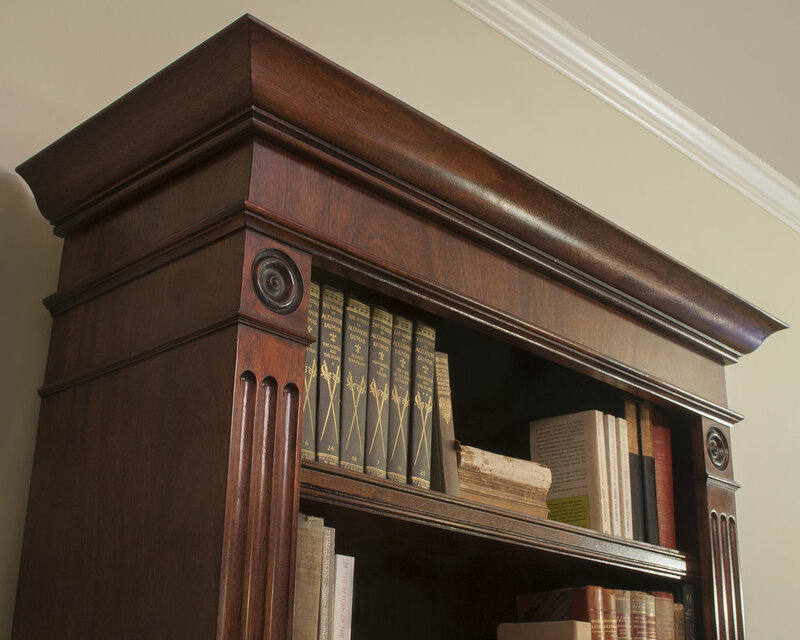 Mahogany isn't what it used to be, to put it bluntly. 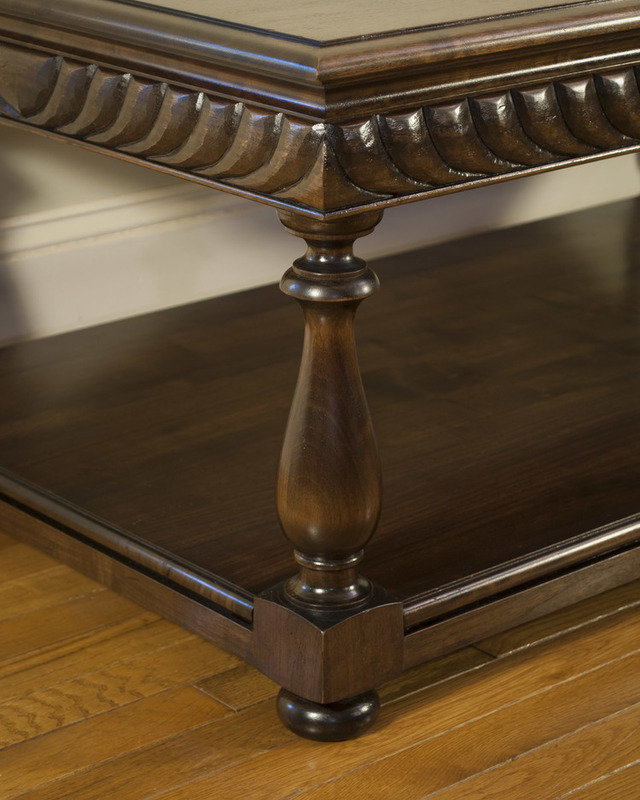 The vast majority of mahogany sold today is African mahogany, which is not a true mahogany. 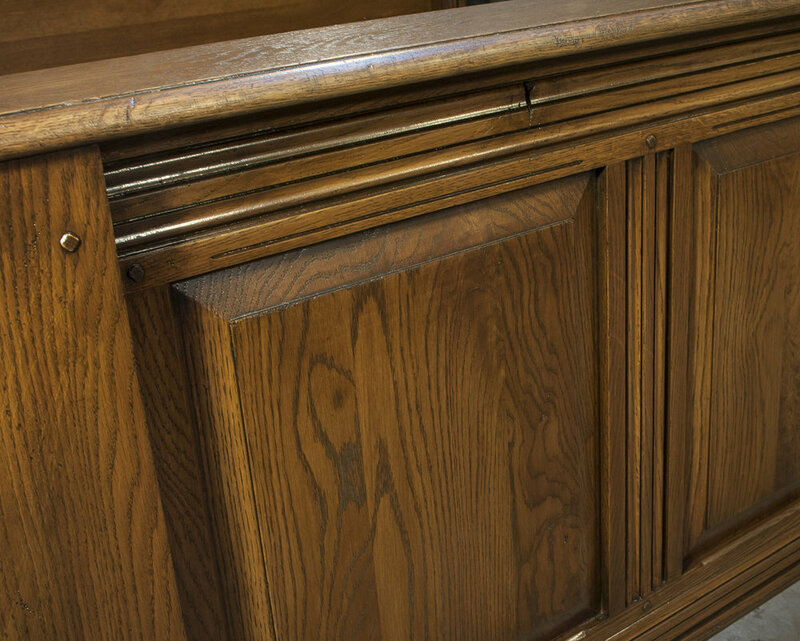 Honduran mahogany and Cuban mahogany are "the real deal" so to speak, but both are endangered, and in many places illegal to log. There is a great deal of information available for reading online if you wish to learn more. 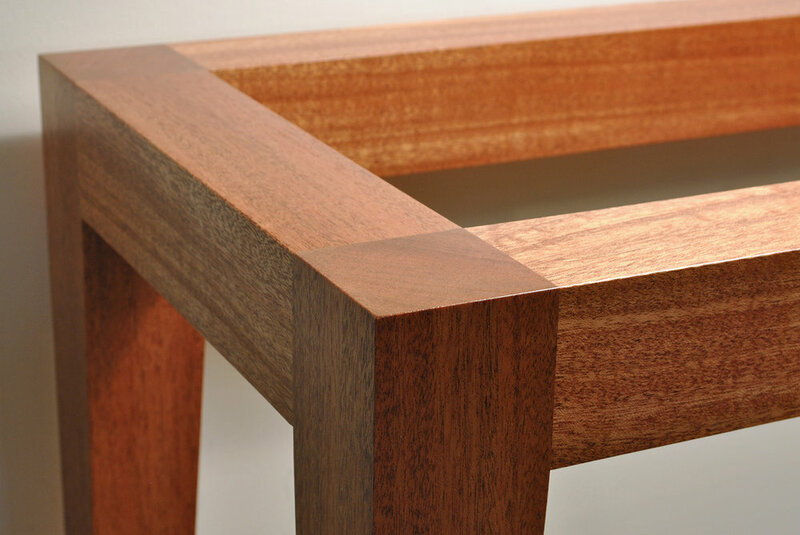 That said, African mahogany can be quite beautiful. It is a rich red color, works easily, and accepts a variety of finishes well. However, the quality varies greatly, and ordering a pile can be a bit like rolling dice. I tend to steer clients to walnut or cherry when possible, where quality is much more consistent. 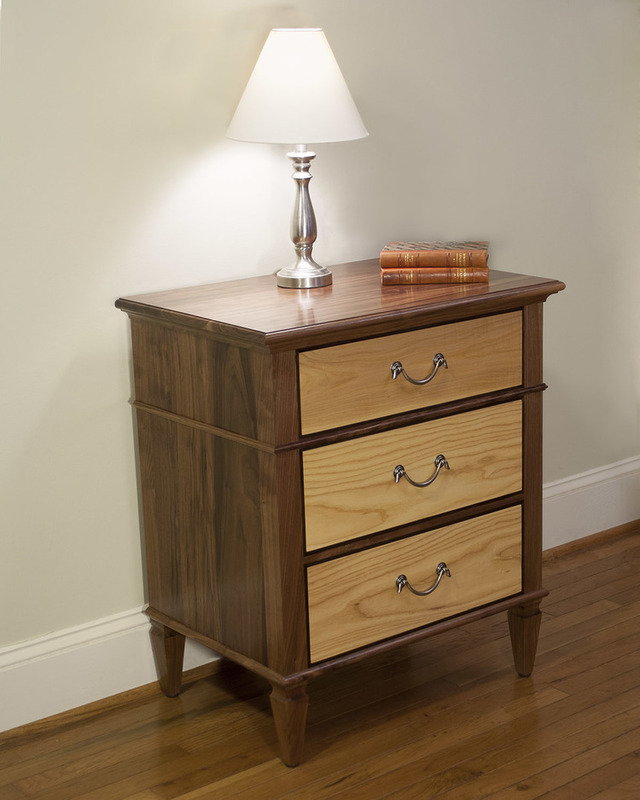 Much higher quality mahogany is available in veneer form. 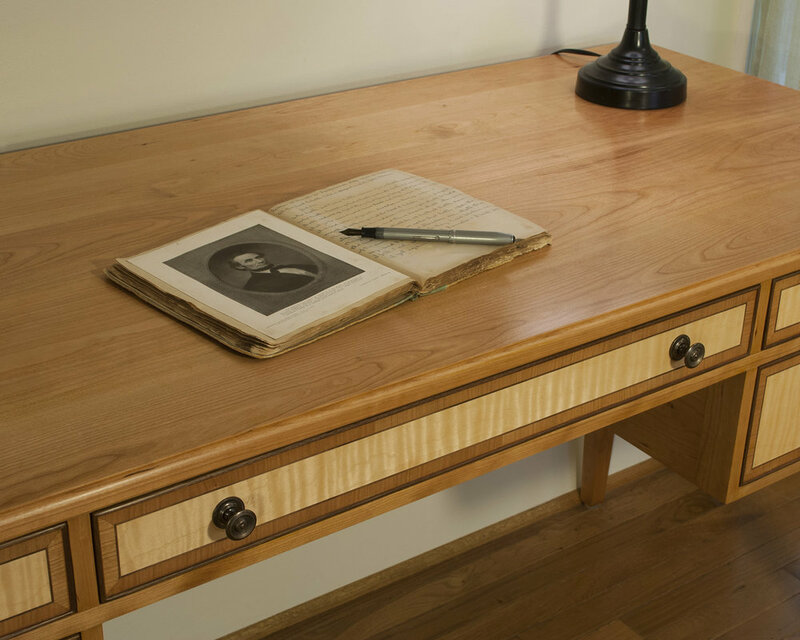 Ash has a fairly coarse, open grain structure like white oak, but is a bit finer and more consistent, color wise. It is naturally a light tan color, with occasional medium brown areas, most of which can be selected out if consistency is required. It finishes naturally to a light gold tone. It is very durable - baseball bats and some tool handles are made from ash. 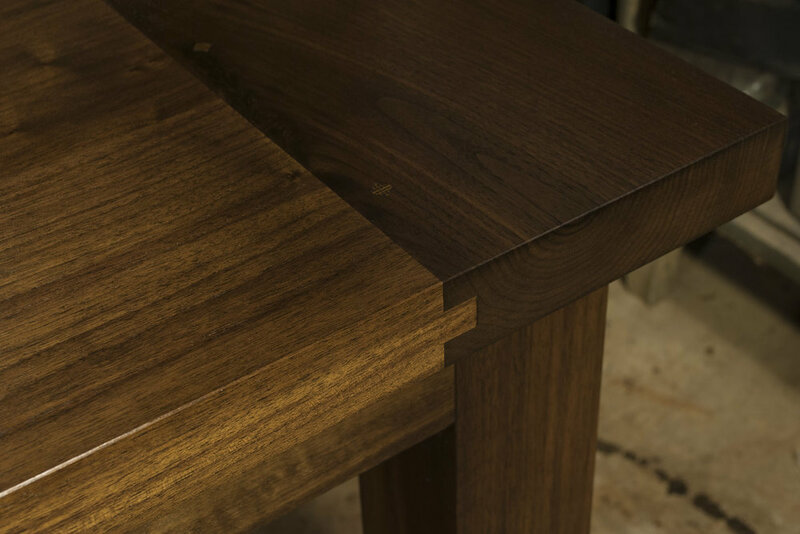 Ash is reasonably inexpensive, domestically grown and can be beautifully figured, as in this example of book-matched ash veneer cabinetry. Ash accepts stain reasonably well. 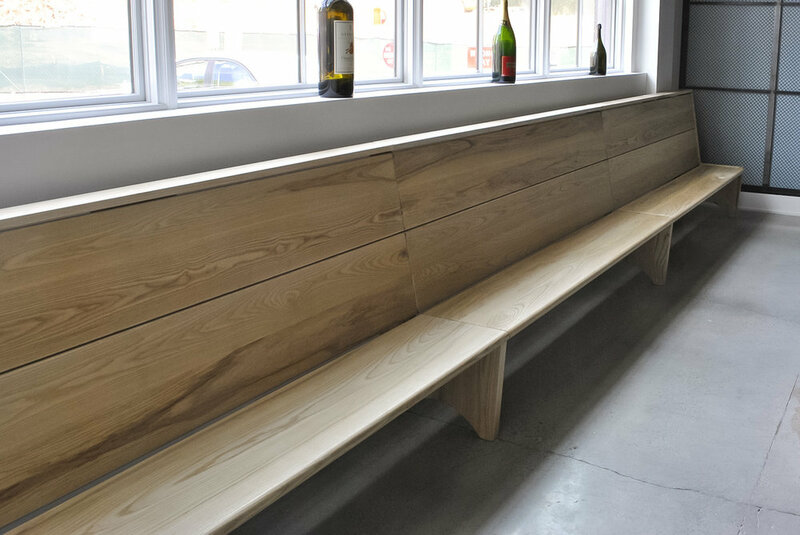 It is a great go-to wood for any project, and works well in traditional and contemporary applications. Cherry is photosensitive - it darkens with age. The more light it is exposed to, the faster it will darken. But this is a good thing. Old cherry is a thing of beauty, and much coveted (and often faked poorly). Cherry does not accept color well, and consequently is fussy to finish if clients want a dark tone right out of the box. I usually recommend a natural finish, which will allow cherry to do it's thing, the result of which is better than color in any can. 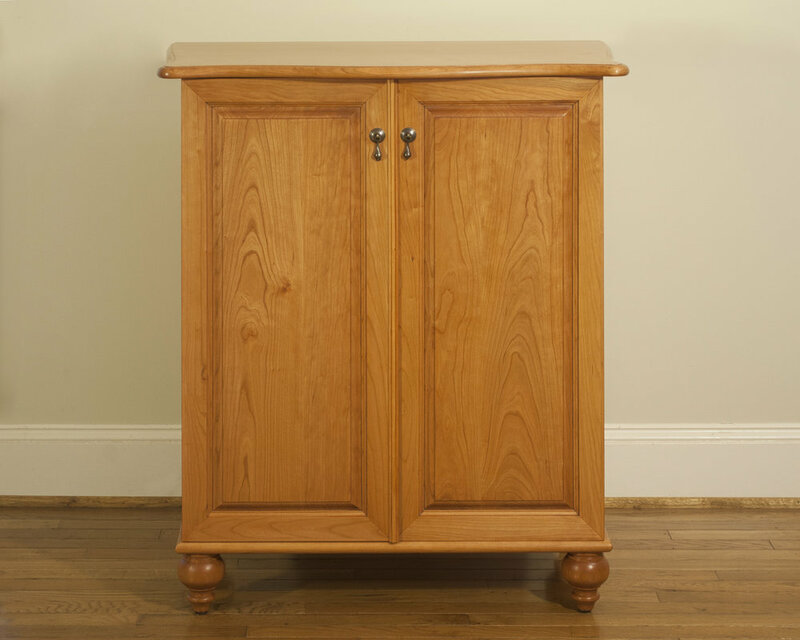 Some people help the aging process along by placing cherry furniture in the sun, and rotating it to accept tone evenly. 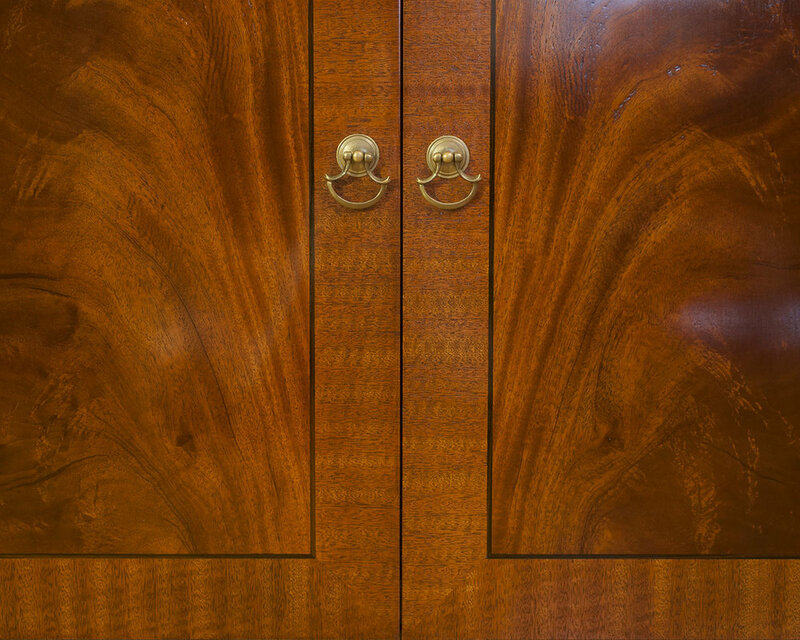 Macassar ebony is used heavily in Art Deco designs. It is profoundly expensive. TCF understands the techniques required to work with this tricky wood. It is most often seen in veneer form, as the decorative effects achieved with it in that form can be amazing if done properly. I've created a pretty flexible finishing system I can adapt to achieve a variety of finishes. Here are a few examples. Pumice and Rotten Stone applied with a felt block (rubbing out the finish). Highlighting (sand edges here and there to remove color). Glaze (Adds depth and darkness to angles and corners). Cherry is tough to finish. You can't apply color directly to the wood, or it will splotch. Cherry will darken with age, but here's how I add color to cherry if requested by my client. Shellac x 2 (I'm sealing the wood thoroughly so that no color touches it). Shellac: Clear and Amber mixed in various ratios to achieve different tones. If more color is desired, I often use universal tints in very small quantities in the shellac. Or I use wood stain on top of shellac (wipe on, wipe off). Seal with shellac if color step is used. 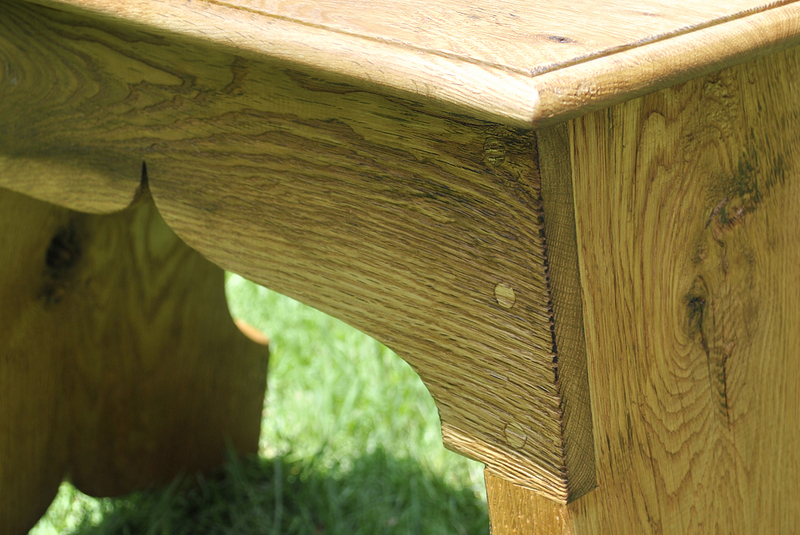 This is a finish recipe I use on oak to achieve a very old, rugged appearance. It varies by the piece a bit. Sometimes I add glaze, or vary the amount of poly depending on the sheen. I apply a solution of steel wool soaked in white vinegar over night, strained, then diluted in water to achieve various tones. Much experimentation and adding / subtracting of water is required to achieve a specif tone. The vinegar solution reacts to the tannins in the oak. The effect is almost instantaneous. 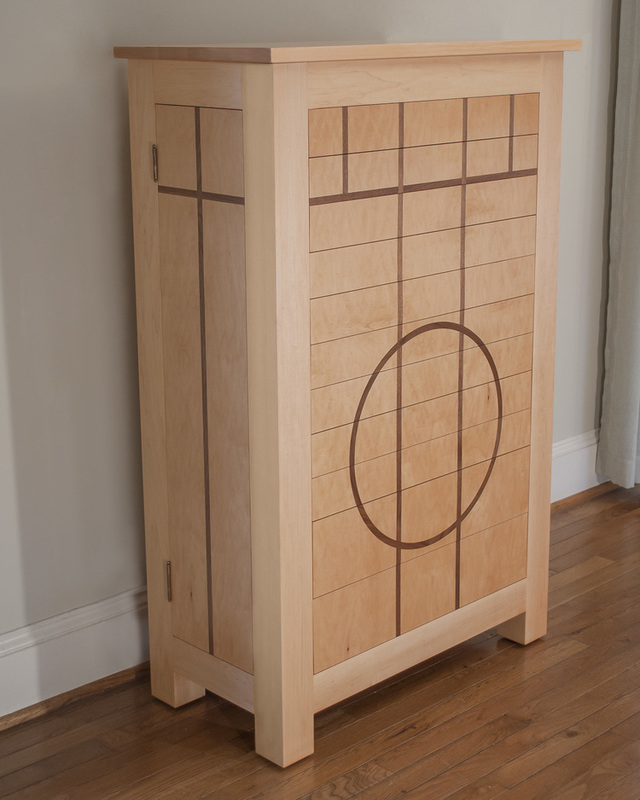 In order to give clients a price for a piece of furniture, I need to work from a finished design. As most of my clients don't have a finished design, I generally offer an estimated price or price range as a first step, just to see if my price is within my client's budget for the project. If so, I ask for a design deposit, which is typically $300 for residential furniture. This isn't an additional cost; it's incremental billing, and pays me for my design time. The design deposit is non-refundable. As soon a I receive the design deposit, I begin work on the design, and email drawings to my clients for approval. I generally get pretty close in my preliminary drawings, based on conversations via email, text or phone. This process continues until my client is happy with the completed design. At this point, I'll provide a final price for the project, which will not come as a shock. 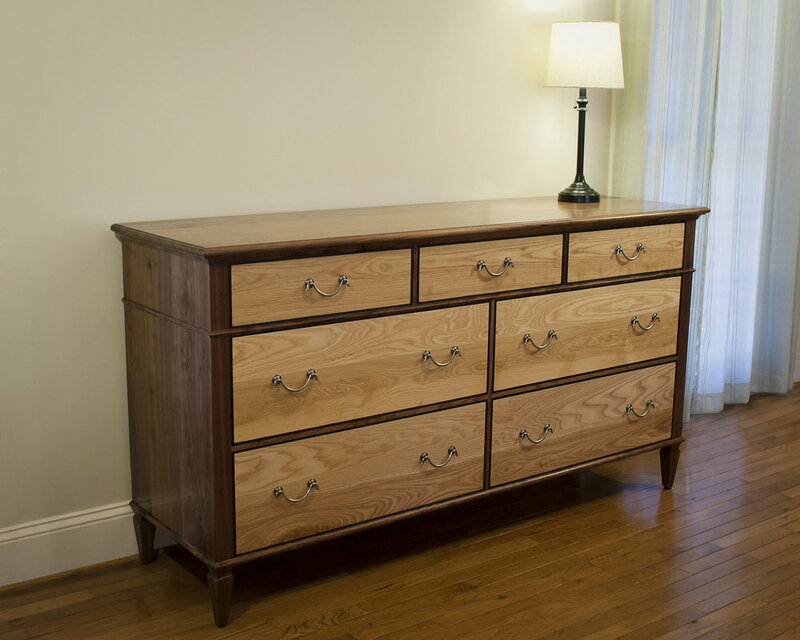 I keep the budget in mind as I work, and will let clients know if an option will increase or decrease the price of the piece - adding a drawer for example, or curving the front of a dresser. If the final price is acceptable, I'll invoice my client for the job through Quickbooks. I ask for a 50% deposit (less the design deposit paid), then 50% on completion. As the piece is built, I keep clients up to date through a client Portal Page, which has all of the details of the job in one place. When I've completed the job, I will send a set of high resolution photos for approval before delivery is arranged. Clients are of course welcome to come to my shop at any time. Please schedule an appointment. I password protect client portal pages. The above sample does not have a password. It will open in a new window, so you won't lose your place here.